Greetings Crypto Heads and Passerbys Alike. In this special edition of the Weekly Roundup, we review the significant ups and downs in the world of bitcoin that have taken place over the last month, explain why bitcoin’s reign of dominance in the cryptocurrency space is slowly coming to an end (no need to panic just yet), talk about who is stepping in to fill the gaps, and what this all means for the future of finance. While 2017 was truly the Year of Bitcoin, we explain why 2018 will be the Year of the Altcoin, and how this will ultimately result in a positive impact for the vast majority of humankind. Despite the good tidings and well wishings of a prosperous new year, the price of BTC remains unstable as ever, encountering a 36% price swing in the last 30 days alone. On December 17th, it reached an all-time high of $19,666, before getting hammered all the down to $11,160 a mere 5 days later. 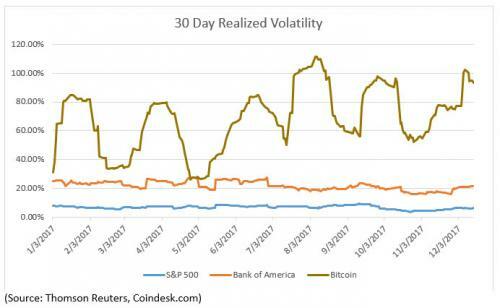 Though bitcoin remains up approximately 12% since the beginning of the year, its wild and unpredictable price movement keeps it more volatile than every single world currency. To put things in perspective, the chances of a euro/yen (EUR/JPY) currency trade pair encountering the same level of volatility as bitcoin is approximately 1 in 100 million. Meanwhile, the amount of energy required to perform a single bitcoin transaction is currently at a record-high 336 kilowatts, which how much energy it would take to run 200 television sets for 24 hours a day. At an astounding 38.6 terawatts, bitcoin now consumes more energy per year than over 100 countries. However, bitcoin mining still remains a lucrative business, attracting some $17 billion in miner profits during the course of 2017. The fact that miner fees are constantly enlarging along with the price of bitcoin poses a serious threat to bitcoin’s ability to act as a currency. As of the writing of this article, the average miner fee was approximately $31.20. World governments remain all over the map (literally and figuratively) in their attitudes towards how to best treat bitcoin. For example, Japan, the 3rd biggest economy and biggest bitcoin trader on the planet, recognizes bitcoin as “legal tender,” whereas top legal experts in India are calling for a ban or severe restriction on all cryptocurrency usage, citing its heavy involvement with drug cartels and associated money laundering in the impoverished nation as their main rationale. Meanwhile, the Central Bank of Israel recently decided to classify bitcoin as an “asset” and not a “currency,” making it slightly more difficult for some users to directly purchase BTC while also officially recognizing it for tax collection purposes. As the result of bitcoin’s evident failure/inability to act as a universally usable currency, several other cryptocurrencies (altcoins) are stepping up to fill the void, attempting to compete for the honor that bitcoin founder Satoshi Nakamoto once envisioned: a low cost, decentralized, real-time payment settlement mechanism that is both securely transmittable and used on a global scale. Long-standing altcoins such as Dogecoin (DOGE), Ripple (XRP), NEM (XEM), Litecoin (LTC) and Dash (DASH) have all experienced massive gains over the last month, while newer contenders like Bitcoin Cash (BCH), Cardano (ADA) and IOTA (IOT) find themselves jumping by leaps and bounds into the prestigious top 10 cryptocurrency list. 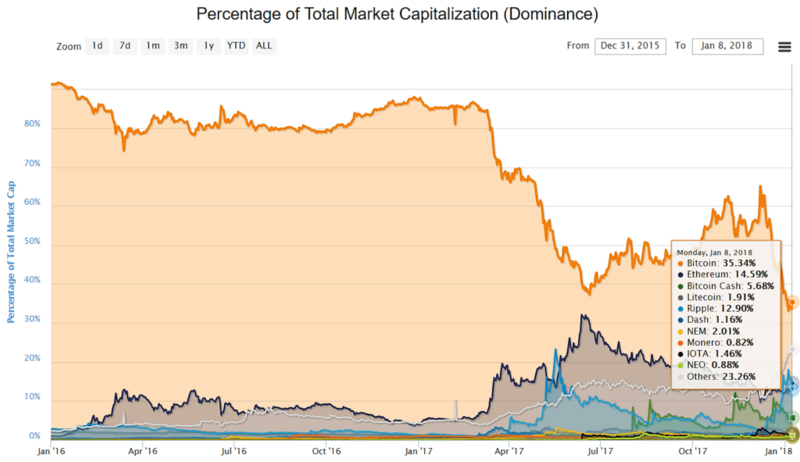 Bitcoin’s dominance in total cryptocurrency market capitalization has now dropped to a paltry 35%; its lowest percentage yet. With the influx of new competitors on what seems like a daily basis, it is unlikely to ever surpass the 50% threshold again. This does not spell the end of bitcoin — far from it. It just signifies that, after a long 9 years, the world is finally ready to embrace cryptocurrency and blockchain technology. There are currently over 1500 different digital currencies and tokens in circulation, and while many of them are indeed simply attempting to ride on the coat-tails of bitcoin’s success, many others are filling small niches and demands created during the ongoing transformation of finance and the economy. 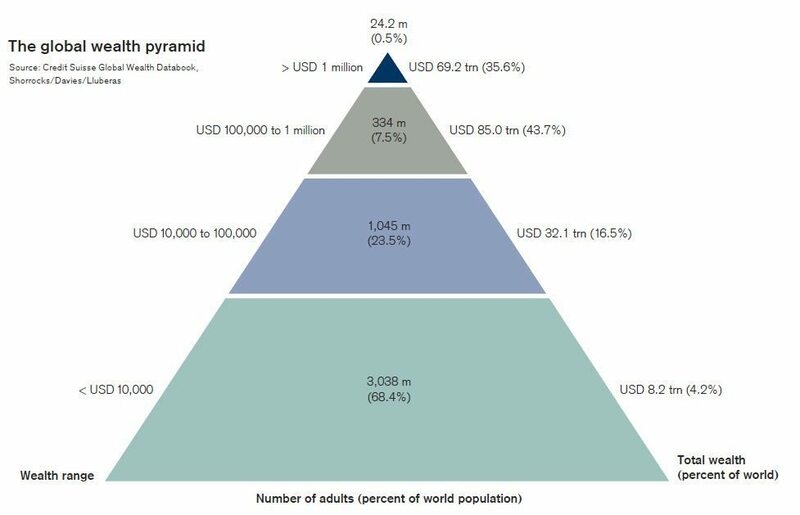 As mankind continues its technological march into a paperless society, these second- and third-wave digital currencies will continue to find ways to make improvements upon old, outmoded systems of finance, while simultaneously re-balancing financial power in a seriously imbalanced distribution of wealth; one which tends to favor only a relative handful of the planet’s 7.6 billion people. Though violence, poverty and lack of basic freedoms continue to plague much of the world, Nakamoto’s vision of a decentralized world economy in which wealth is redistributed to the average world citizen and away from overtly greedy individuals and mega-corporations – who seemingly use their existences for the sole purpose of accruing more wealth – is well on its way to becoming a reality.